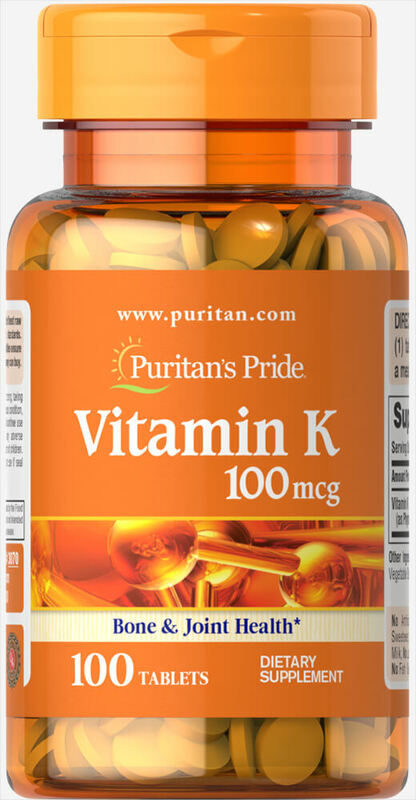 Vitamin K is necessary for the formation of prothrombin, which is required for normal blood clotting. ** Vitamin K is also a great companion to Calcium and Vitamin D supplements. No Artificial Color, Flavor, or Sweetener, No Preservatives, No Sugar, No Starch, No Milk, No Lactose, No Soy, No Gluten, No Wheat, No Yeast, No Fish, Sodium Free.